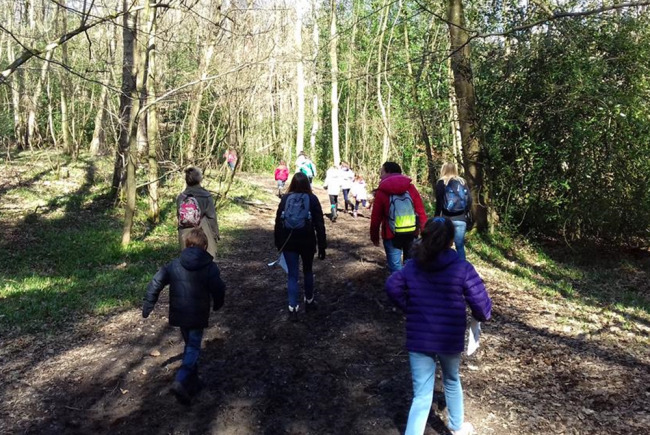 Working in partnership with West Sussex County Council, as part of a campaign to reduce obesity in Year 6 children, we are offering guided walks around local parks twice a week during school holidays. Park Buggy Walks will run on Tuesdays and Thursdays during the summer holidays. Eight sessions will be offered with each session lasting 1.5 hours. 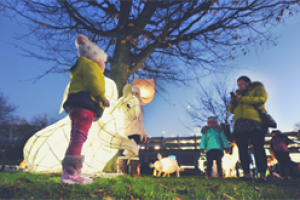 These will be open to families in Crawley with children who are 7 years and under. The walks will take place in two local parks in Crawley and will involve following a suitable footpath whilst taking the time to notice nature. WSCC will provide fitness instructors who will lead the groups in short bursts of exercise at checkpoints along the route. Scavenger hunts and other activities will give children an opportunity to explore the natural environment. We want to inspire families to spend more time outside being physically active and will empower them to continue the walks in their own family times. We will do this by familiarising them with the parks and the routes. If successful, we hope to continue Park Buggy Walks during other school holidays throughout the year. We want to inspire families to be more active and to spend more time outside enjoying the natural environment. The benefits of this will be improved physical and mental wellbeing. 32.4% of Year 6 children in Crawley are measured as overweight or obese which is above the West Sussex total of 20.5%. Deprivation in parts of Crawley is a contributing factor. 78% of children in Crawley at the end of reception have attained the Early Years Foundation Stage score for ‘Understanding the world’ compared with 85% of children in West Sussex as a total. Park Buggy Walks will give children the opportunity to be more physically active and thereby helping to reduce obesity. Exploring the natural environment will help to improve their understanding of the world. Over 50% of the referrals made to the IPEH service are for families where there is a need for mental health support - Park Buggy Walks will also help to improve mental wellbeing. Walking for Wellbeing is pleased to be part of the WSCC IPEH Task Group who are working with partner organisations in Crawley to promote healthy eating and lifestyles. This is imperative for the families of Crawley. We will inspire families to continue to use local parks for physical activities so that they maintain the benefits they will experience whilst participating in Park Buggy Walks. 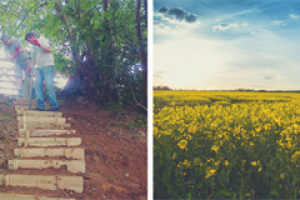 Walking for Wellbeing works with education establishments and other community groups in West Sussex offering intervention and self development courses. During the sessions, whilst walking along a planned route, basic navigational skills are taught and participants are given the opportunity to explore and discover the natural envoironment. Individual and team challenges help participants to learn new skills, discover strengths and develop resilience, confidence and teamwork skills. They can also learn to deal with feelings of stress and anxiety. Families are encouraged to engage in exploring activities together, giving them an opportunity to connect with each other through nature. This can help to improve family relationships as they spend time together in a relaxed environment. Parents and carers are empowered to continue to take their children walking and exploring nature so they can maintain the benefits they experience whilst on the course. These benefits include improved mental and physical wellbeing. Each course is tailored to the need of the user group. Project Delivery Manager: Walking for Wellbeing The Project Delivery Manager takes legal responsibility for receiving and spending the funds raised and ensuring the project is delivered.